BY Mark Dancer, President of Channelvation, Inc.
"CEO Insights On Innovating The Distributor For The Digital Age,” by Mark Dancer, provides updates on digital progress — acknowledging success where it has been achieved in the distribution industry — and pushes distributors to keep trying harder to move their businesses forward. This research report can be used as a strategy tool with distributors’ leadership teams, project managers and employees to help focus efforts, answer questions, and build consensus and, ultimately, progress. The following is an excerpt from Part 1: Update On Digital Progress. We asked CEOs to rate the current impact of all digital tools and their impact in the near future, three years from today. The results are important and point to a changing status quo. 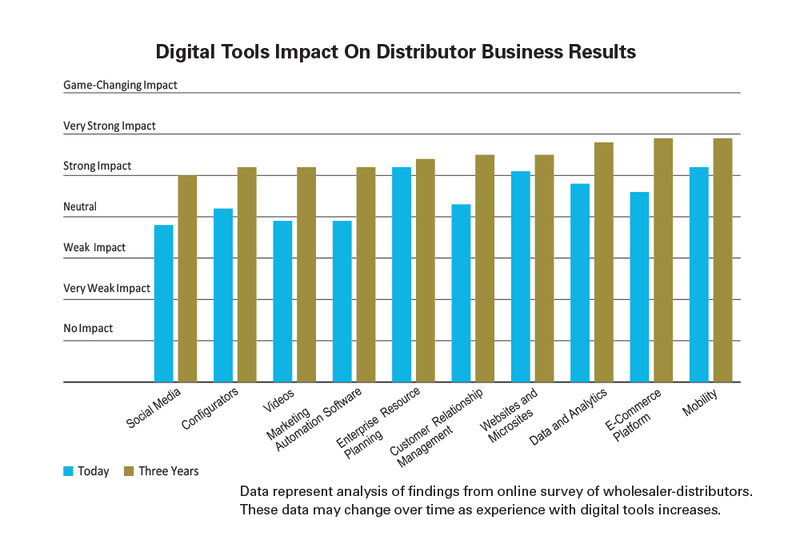 Today, a few digital tools are called out as making a strong impact on distributor business results. Within three years, CEOs predict that all digital tools will make a strong or very strong contribution to business results. Again for emphasis: CEOs answered that in the not-too-distant future each and every tool will make a strong impact on business results. This finding is profoundly significant. In the second NAW book, “Becoming A Digital Distributor: Strategies And Tools That Create Value,” the findings indicated that digital tools were changing the way that work was done by distributors, the way customers buy, and the way that suppliers take their products to market. Distributors were confident this change would occur even as they were not certain about how to implement digital tools in their business. Digital tools were predicted to become a standard practice, and the meaning of the findings about the growing importance of all digital tools is that the shift to becoming a digital distributor will be largely completed in the next three years. 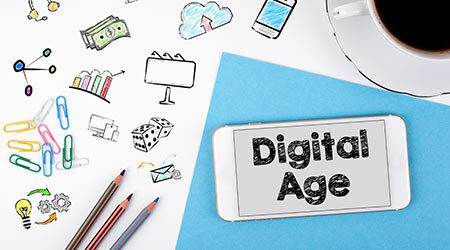 Digital tools are designed to leverage information and automate business processes. This makes people more productive and makes it possible to deliver a better customer experience. The use of digital tools by suppliers and distributors can improve each other’s contribution to customer satisfaction and the performance of the overall combined results of the value chain. All of this is happening because digital tools offer economic returns that justify their investments. The findings indicate that distributor leaders are now confident that digital tools will be adopted and used by distributors, and that they will yield practical results. Moreover, digital tools will be fully integrated in a distributor’s business over the next three years. 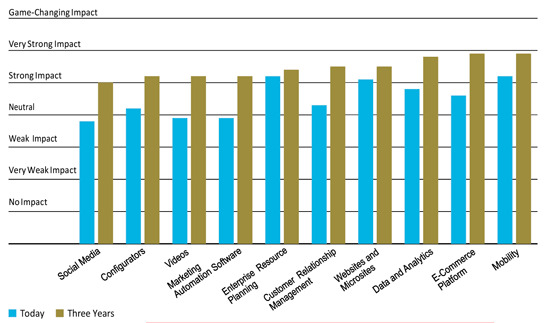 If your digital vision does not assume that digital tools are how business is done, it should. Otherwise, your vision will place your company at a disadvantage, and it will be left behind.